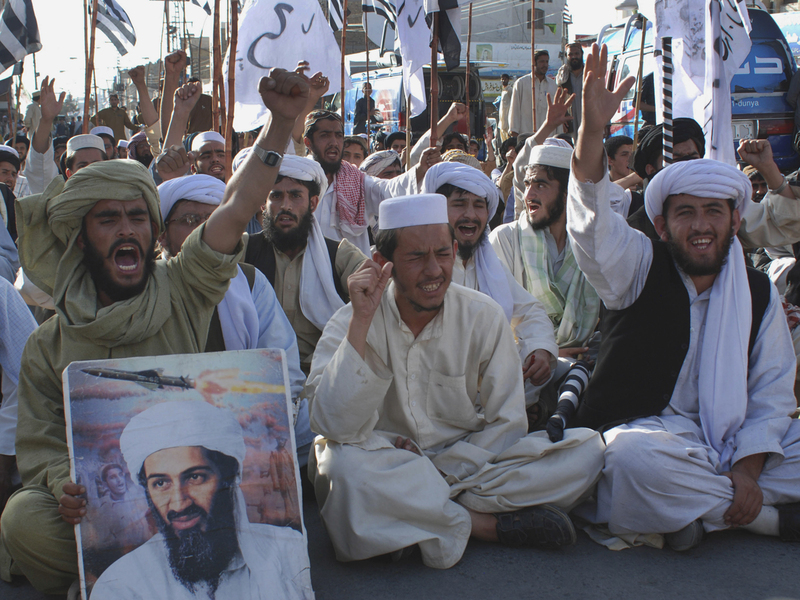 CAIRO - Muslim clerics said Monday that Osama bin Laden's burial at sea was a violation of Islamic tradition that may further provoke militant calls for revenge attacks against American targets. Although there appears to be some room for debate over the burial  as with many issues within the faith  a wide range of Islamic scholars interpreted it as a humiliating disregard for the standard Muslim practice of placing the body in a grave with the head pointed toward the holy city of Mecca. A U.S. official said the burial decision was made after concluding that it would have been difficult to find a country willing to accept the remains. There was also speculation about worry that a grave site could have become a rallying point for militants. The official spoke on condition of anonymity to discuss sensitive national security matters. President Barack Obama said the remains had been handled in accordance with Islamic custom, which requires speedy burial, and the Pentagon later said the body was placed into the waters of the northern Arabian Sea after adhering to traditional Islamic procedures  including washing the corpse  aboard the aircraft carrier USS Carl Vinson. But the Lebanese cleric Mohammed called it a "strategic mistake" that was bound to stoke rage. In Washington, CIA director Leon Panetta warned that "terrorists almost certainly will attempt to avenge" the killing of the mastermind behind the Sept. 11 attacks. "Bin Laden is dead," Panetta wrote in a memo to CIA staff. "Al Qaeda is not." Clerics in Iraq  where an offshoot of al Qaeda is blamed for the death of thousands of people since 2003  also criticized the U.S. action. One said it only benefited fish. "If a man dies on a ship that is a long distance from land, then the dead man should be buried at the sea," said Shiite cleric Ibrahim al-Jabari. "But if he dies on land, then he should be buried in the ground, not to be thrown into the sea. Otherwise, this would be only inviting fish to a banquet." The Islamic tradition of a quick burial was the subject of intense debate in Iraq in 2003 when U.S. forces embalmed the bodies of Saddam Hussein's two sons after they were killed in a firefight. Their bodies were later shown to media. "What was done by the Americans is forbidden by Islam and might provoke some Muslims," said another Islamic scholar from Iraq, Abdul-Sattar al-Janabi, who preaches at Baghdad's famous Abu Hanifa mosque. "It is not acceptable and it is almost a crime to throw the body of a Muslim man into the sea. The body of bin Laden should have been handed over to his family to look for a country or land to bury him." Prominent Egyptian Islamic analyst and lawyer Montasser el-Zayat said bin Laden's sea burial was designed to prevent his grave from becoming a shrine. But an option was an unmarked grave. "They don't want to see him become a symbol, but he is already a symbol in people's hearts."